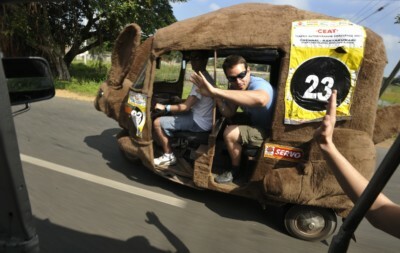 It’s what all the cool kids are talking about. 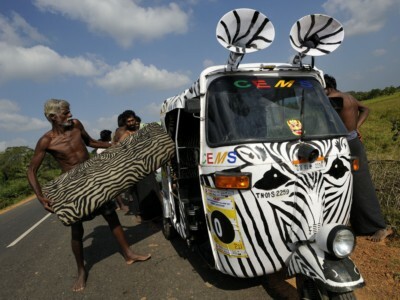 From giant furry auto rickshaw rabbits to hand painted Taj Mahals, metallic flames and zebra print custom interiors with full internal and external sound systems, there is no customization too big or too weird for our style masters in Chennai. 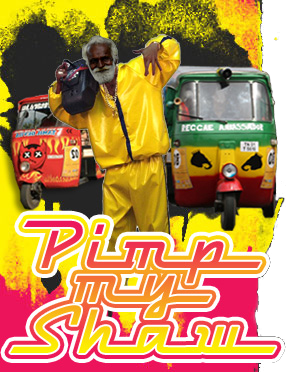 Check out past teams ‘Shaws for inspiration then go to www.pimpmyshaw.com for more details, a price list and contact information. 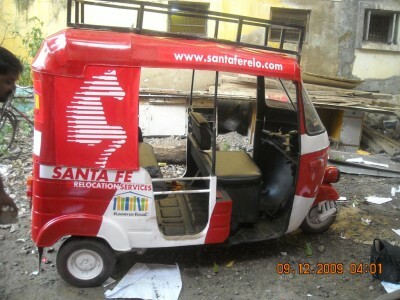 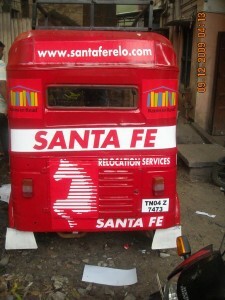 A sample of the rickshaw we did for a company called ‘ Santa Fe’. 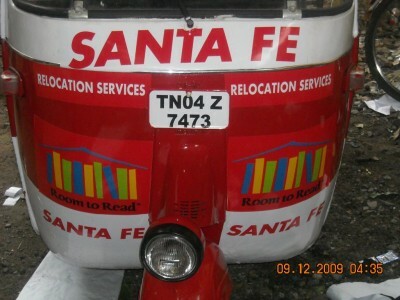 They used this rickshaw to travel around India to raise awareness of the company and their offerings.